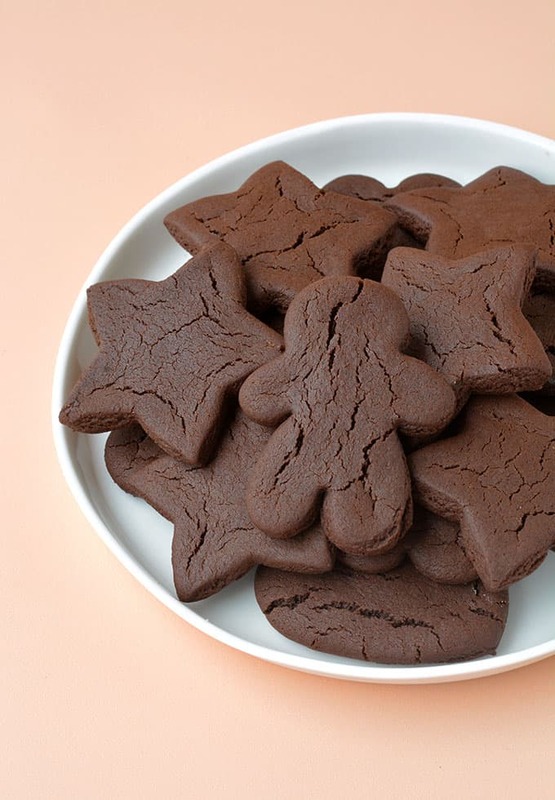 You’ll love these Chocolate Gingerbread Cookies. Soft and chewy, with crisp edges, these cut-out Gingerbread Cookies are perfect for decorating and giving away as Christmas gifts. 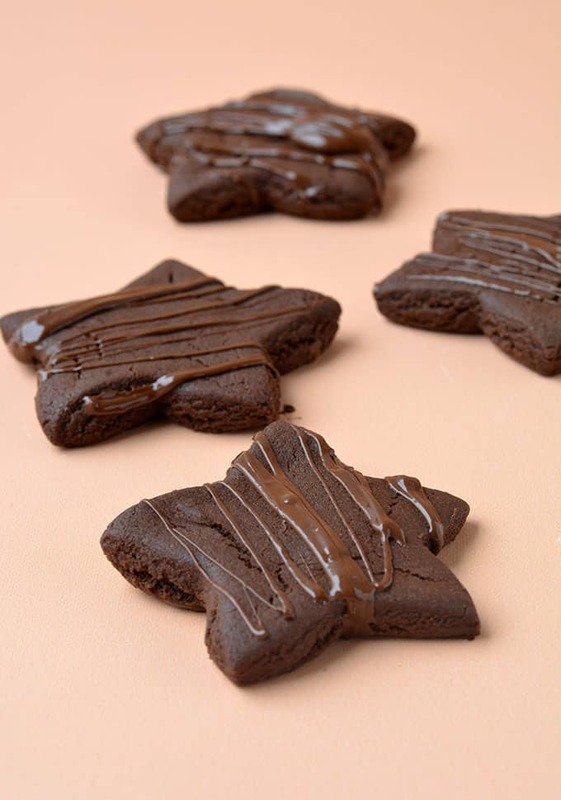 If you love gingerbread AND chocolate, you’ll adore these soft chewy Chocolate Gingerbread Cookies. 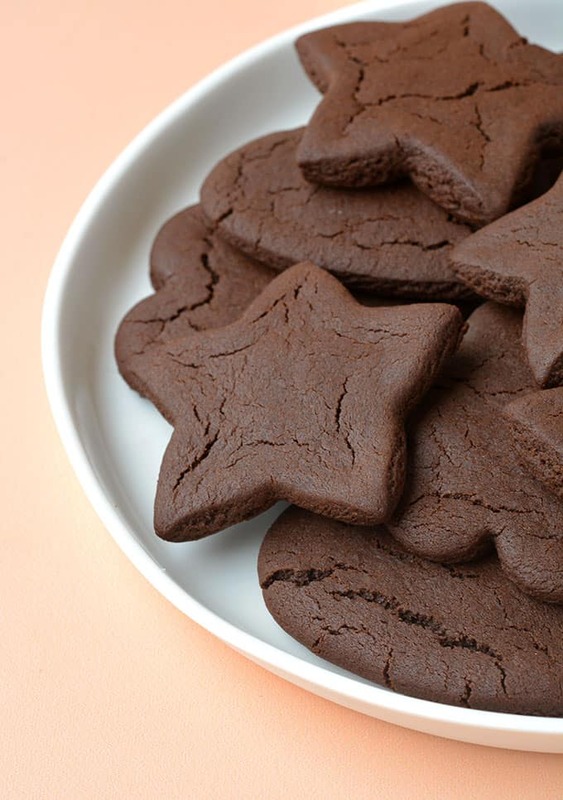 Perfectly spiced, with a hint of cocoa and a kick of ginger, they’re the ultimate Christmas cookie treat. I know it’s a bit early to start rolling out the Christmas goodies but I just can’t help myself when it comes to gingerbread. I’m obsessed! I’ll take it in every form, whether it’s cute-as-a-button Gingerbread Men or soft and tender Gingerbread Cake. But for the moment, let’s enjoy it in cookie form! 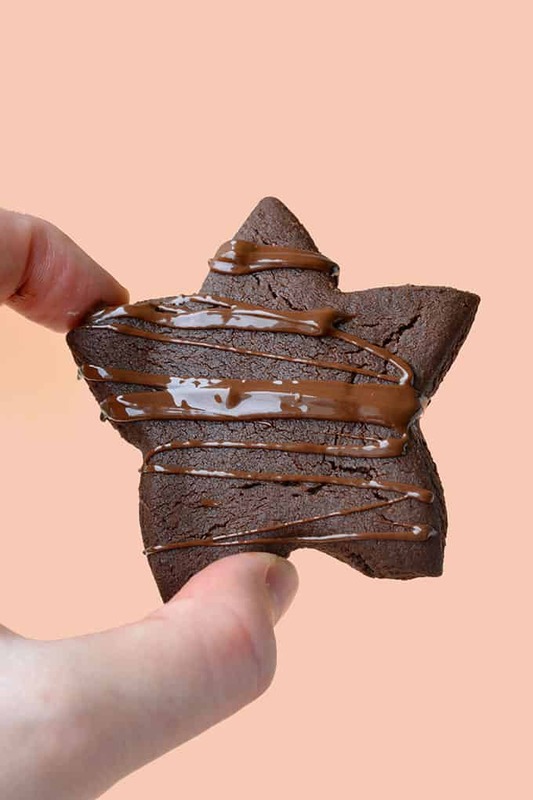 When I think of Christmas, I can’t help but think of cut-out cookies. They’re so much fun, especially as a group activity. Last year, I invited some girl friends over and we had a Christmas night, where we decorated gingerbread men and made chocolate bark that we could then give to our friends and family. 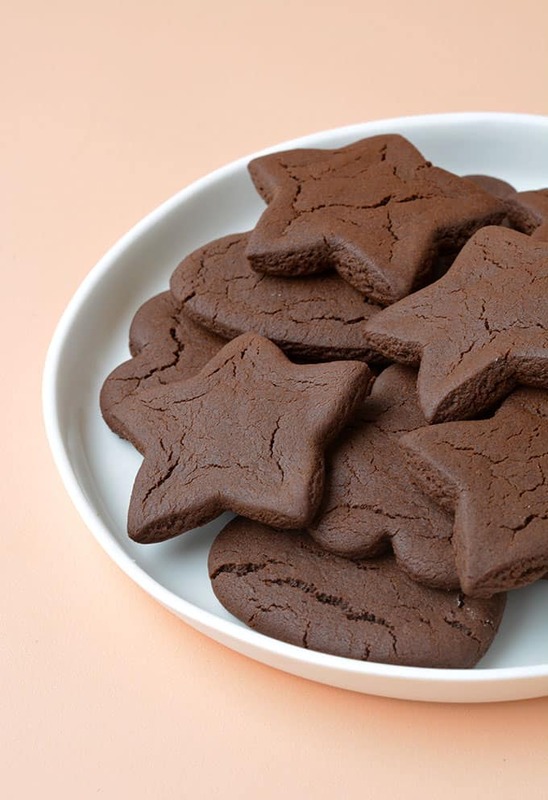 You can cut these cookies into any shapes and size. I did a whole bunch of stars, as well as some hearts, gingerbread men and flowers. Just 10 minutes in the oven and they will be crisp to perfection. Once they have cooled, you can decorate however you wish. I drizzled mine with a little dark chocolate, but you can decorate with your favourite frostings or candy. SO. MUCH. FUN. 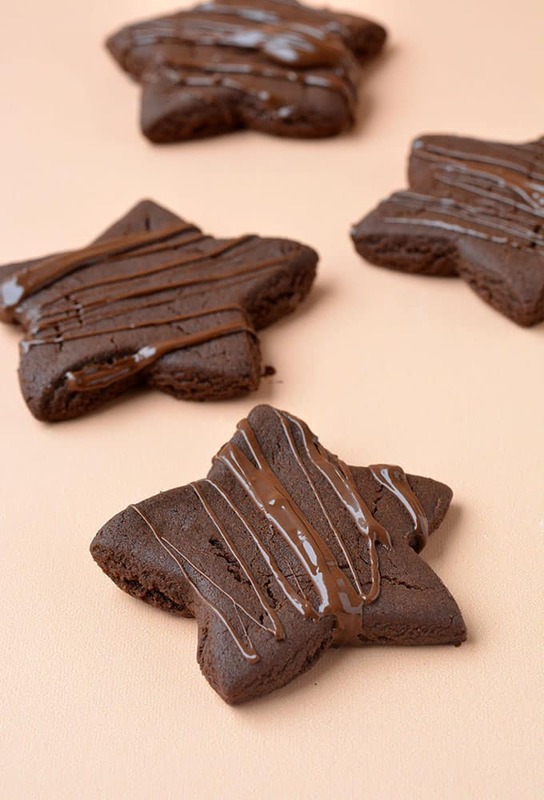 So if you’re feeling in a festive mood this week, why not try these gorgeous Chocolate Gingerbread Cookies. Deliciously chewy, with crisp edges, they’re so much fun to make AND eat. Let’s get the silly season started! 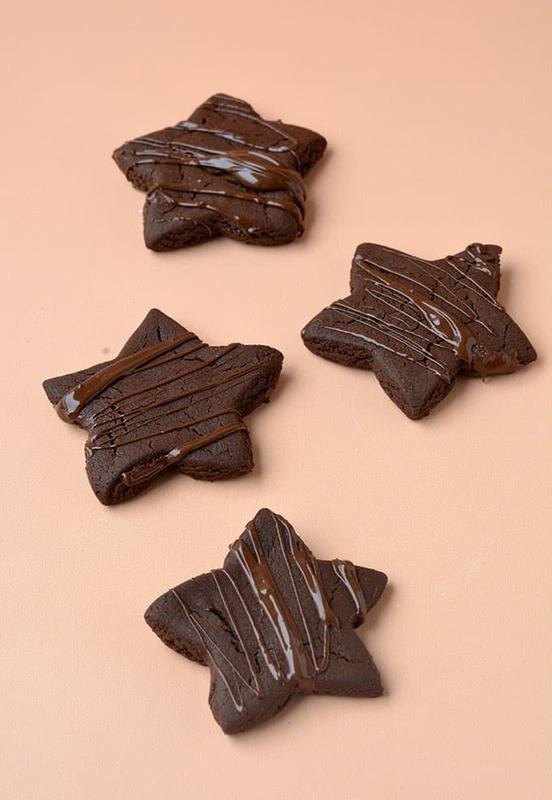 Soft and chewy Chocolate Gingerbread Cookies drizzled with chocolate. In a large mixing bowl, beat butter and sugar with an electric mixer until combined. Add vanilla, molasses and egg yolk. Beat again to form a creamy mixture. Sift in flour, cocoa, baking soda, ginger, cinnamon and nutmeg and best briefly until dough starts to come together. Form dough into a smooth round disc. Wrap the dough in plastic and pop in the fridge for 30 minutes to rest. Preheat oven to 180 C (360 F). Line two cookie or oven trays with baking paper. Lightly flour bench and roll out dough using a rolling pin. Dust your rolling pin as you go to prevent the dough from sticking. Cut out shapes and place the cookies onto the prepared trays. Bake for 10 minutes. Remove from the oven and transfer cookies to a wire rack to cool. 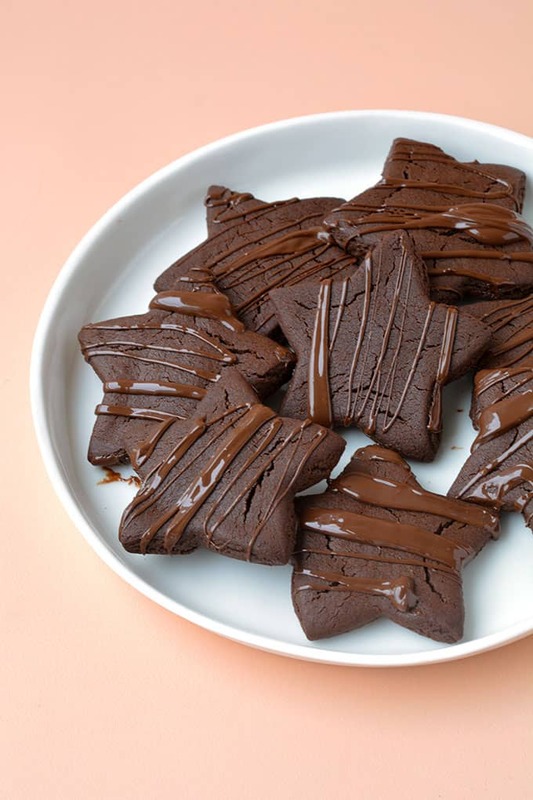 Drizzle with melted chocolate. 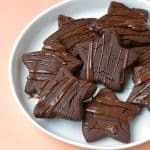 I had a gorgeous chocolate gingerbread recipe and can’t find it anywhere. You could cut it out like sugar cookies, but they were soft and chewy. These look gorgeous. I’ll give these to try! Thank you for sharing. Hi – These look fantastic. Do the cookies turn out crispy or soft? Thanks! Hi Traci! They have crisp edges but are chewy in the middle. You can adjust the baking time to get more of the result you are after too – leave them a little longer for a crispier cookie, or under bake them slightly for a softer cookie. Hope that helps!